Spring is here, it seems. My chiles are sprouting in my makeshift hot house, though it’s not been warm enough for them, and their growth is slow. I’m particularly excited about a Guyanese variety called Wiri Wiri. I’ve grown these successfully in the past, but it’s been a couple of years. They’re a bit challenging to grow, but well worth the effort. Each little berry, about the size of a small grape, is fiery hot (about like an orange habanero), wonderfully fragrant, and very flavorful. When I slice into these, their perfume fills the air. I can hardly wait for mid-summer when they, hopefully, begin bearing fruit. 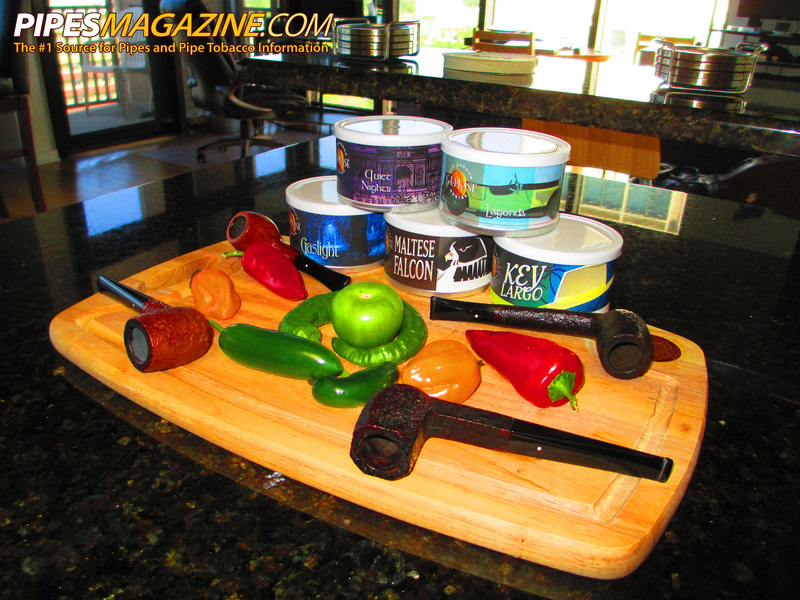 But, what the hell do chiles have to do with pipes and tobacco? Glad you asked. Chiles, all peppers for that matter, are in the same plant family (the nightshades, or Solinaceae) as tobacco. So are potatoes, tomatoes and aubergines. And, like tobacco, there is abundant variation both in the flavor profiles and intensity of different varieties. Where one pepper or tobacco type might be sweet and mild, another might be pungent and powerful. Each has its time and its place, and it’s that very variety that makes these things so interesting, and exciting. 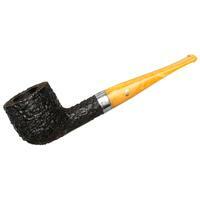 And, I know from my correspondence that there are a lot of pipe smokers who are also fans of the fiery fruit. It sort of makes sense, in an oddly oblique way. With that, on to the questions. Arno, who always has interesting questions asks: I have a couple of home-made mixtures created from all kinds of blending tobaccos. Some people really like them and ask if I can make some more. Well, I got the recipes and for a part I can get the same blending tobaccos but some ingredients are no longer available. Of course I can replace those by similar tobaccos from another brand but I have never done that before. So how do you cope with the constant changing availability of blending leaf? Or the changes from year to year in one species of tobacco? I can imagine that for example you have a certain Virginia from a specific location for a blend that you always use. Suddenly it is no longer available or a new batch is different from the old one. How do you (and other tobacco manufacturers) work around that and let the blend taste the same? To what do you pay attention with a new batch? I know a lot is done with casings and light toppings (right?) but that is not an option for me since I only have basic blending leaf. A: For sake of discussion, let’s look at three basic approaches to consistency. In cases where a lot of casing and flavoring is used, the base tobaccos are not quite as important to making a product that tastes and smells the same year after year. As long as the base leaf is close enough in terms of overall flavor profile, nicotine content, color, texture and so on, the result will be fairly similar over time. In other cases, where the additions are not as dominant to the character of the blend, other techniques must be employed. Not surprisingly, I find an analogue in the wine world useful. There are large wineries who make millions of gallons every year, and sell it to an audience that is seeking something they’ll enjoy, but are not necessarily chasing the most interesting wines. They control their quality and consistency by grape selection, production methods and blending during the final stages. This is similar to what the larger tobacco producers can do, with the added factor of the warehousing large quantities of leaf from different vintages. This allows them to maintain a fairly consistent product from year to year, and, more importantly, to make changes incrementally over time that are not significant enough to be noticed by their regular customers, but that sampled over a longer period of time may result in more dramatic differences. Of course, the only way we could objectively know how much change has taken place would be to have samples of both new and old that had somehow been kept in stasis, preventing the natural effects of time from playing a part in the equation. 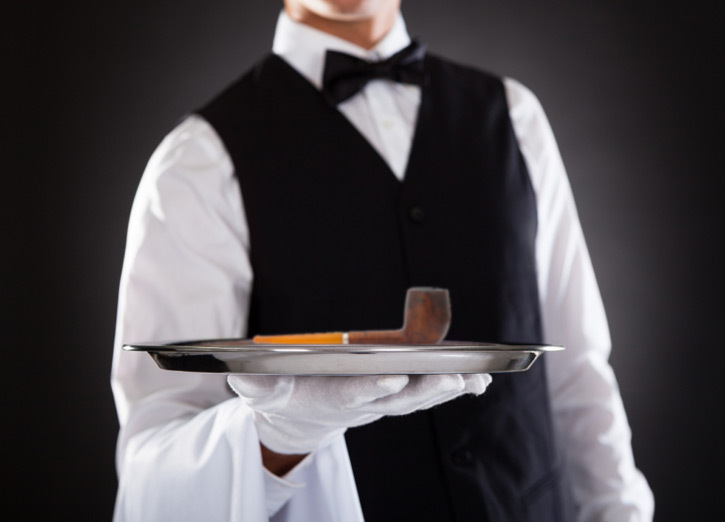 Since that’s not likely to happen, we can only rely on our experience, and since most of us don’t have eidetic taste memories, and since our tastes and preferences occasionally change, we end up relying more on the fact that we like, or don’t like what we’re tasting to subjectively determine whether or not a wine, or a blend, is consistent enough for us. Then, there are the small boutique wineries and blending houses, which is where my blends would fit. Working with the best quality ingredients available in a given vintage, whether grapes or tobaccos, we work to maintain the character of the product, expressing a particular style as best we can without spending too much time considering absolute consistency. Fortunately, tobacco crops are a bit less finicky than grapes, and vintage differences are not usually severe, so my job as a tobacco blender is somewhat easier. Even so, if you were to compare any of my blends from a couple different years, you’d likely find noticeable, albeit small changes. I recently tasted tins of Renaissance from 2001 and 2002, a time during which one particular leaf source changed. At this point, both of these tins have evolved to the point where an added year of tin age isn’t really a factor, and though very similar, the two tins were detectably different. Would I have noticed the difference were I not critically smoking the two side by side? Hard to say. So, consistency isn’t something that you, as a home blender, will have a lot of control over if you’re relying on commercial leaf sources, but you shouldn’t have to worry too much, either; as long as they are consistent, your blend should stay fairly true to form. You may have to make minor adjustments from time to time, but that goes with the territory, and of course, when things disappear from the market, you’ll either have to work harder to get your blend back in line, or move on to the next thing. (Remember Bohemian Scandal?) I say just enjoy the ride. Forwarded from Floyd: Good day Mr. Pease. 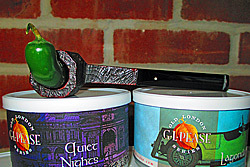 I enjoy many of your tobacco blends as well as blends from other makers. 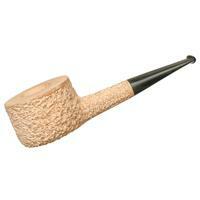 I like most styles of tobaccos with the exception of aromatics. Many aros just smell so good in the tin or pouch, but rarely taste anything like they smell. 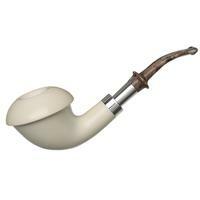 I think it would be great if it were possible to create a pipe tobacco blend that actually tastes like some of the aromatics smell. Can this be done? Have you ever tried to achieve this? Could you? Would you? Please? A: That’s always been the great irony of aromatic tobaccos, hasn’t it? They may smell great to those in the room, but the smoker rarely enjoys the full benefit. Sure, they’re often sweet tasting, but usually in a sort of nondescript way, rarely delivering the full character of the aroma in the taste. And, it actually makes a certain amount of sense. Burning something and sucking the smoke into your mouth is a very different thing from eating it. If we chopped up a box of KrispyKremes and added the result into our pipe tobacco, the result wouldn’t taste anything like doughnuts, other than, perhaps, my late Aunt Millicent’s, which were always burned to a crisp, and never creamy, but that’s another story. Some aromatic components, vanilla and maple, for instance, do translate fairly well in the smoke. Others, like coffee, don’t. The problem is with the way that those aromatic components reach the smoker’s palate. 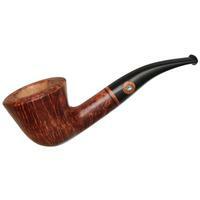 If you take a draw from your freshly loaded, unlit pipe, you’ll get a very different taste experience than you do when smoking it, and will probably pick up more of the aroma as flavor. Remember, flavor is the full effect of both the five basic tastes—sweet, sour, bitter, salty and umami—sensed by the tongue, and the aroma as it is picked up by the olfactory gland via the retronasal passage at the back of the throat. But, how those volatiles arrive in your mouth makes a big difference to how you’ll perceive them. Emilio Quezon pens: Which liquid do you prefer for dipping pipe cleaners into when cleaning your pipes, and why? A: Being a pipe cleaner is a thankless, often dirty job, and good ones are hard to find, so I treat mine with all the care and respect they richly deserve. I allow them a daily dip in the hot-tub during the winter, and the olympic pool in the back yard when warmer weather dictates, so I guess the answer to your question would be water. Eric wants to know: Are there any blends of yours that don’t get as much attention as you think they should? I ask this as a longtime Kensington lover, which seems to get little love compared to others in the range for reasons I’ll never understand. Also, since I’m enjoying Gaslight so much, can you tell us anything about what may or not be in development? As to leaking early intel on secret projects, all I will say at this point is that I’m working on a couple of really interesting things that I’m very excited about, but given the way I work, I have no idea how long it’ll be before they’re ready for prime time, so I’m not going to disclose any details. Got to keep the competition trying to second-guess me. *Okay, okay. My preferred fluid is Everclear, as it has a high absolute alcohol percentage and is neutral in aroma and taste. In a pinch, I’ve used rum, whisky, vodka. I don’t, however, like or advocate the use of non-potable alcohols, like rubbing alcohol or isopropanol. If it won’t go into me, it doesn’t belong in my pipes. Well, I do love Rogue Chipotle Ale. Why not Pease’s Peppery Perique? A new and improved tongue bite! I have noticed some variation in GLP Robusto from a dozen or so batches in the last couple of years but comparatively small differences, as you say, comparable to vintage domaine wine but not as marked. 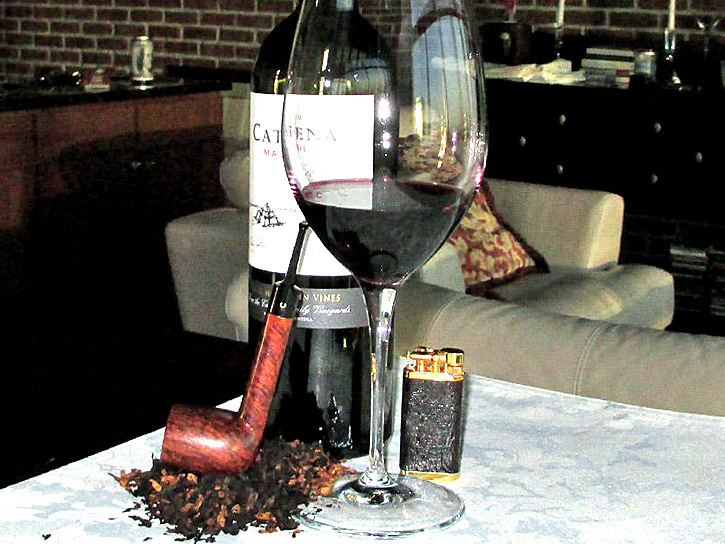 Such variation is for me part of the charm of fine tobacco, wine and, indeed, beer. Talking of wine by coincidence I had a bottle of Catena Malbec (could not see vintage in above photograph but mine was 2010 I think) for the first time in ages last week - one of the best Argentinian wines available in the UK plus great with steak or anything beefy. Having tried most of Greg’s blends and, for all the richly deserved praise they have gleaned, I would suggest the following do not get nearly enough attention; Robusto (subtle shifting tastes - smokes very cool and bite free - my favourite by a nose in front of the finest of Dunhill & Sobranie of 35 years ago and, unusually for a pipe tobacco, a wonderful partner for coffee), Abigingdon (great structured traditional English particularly when over two years old, when younger has a slightly sourer profile and is fascinating but less traditional), Union Square (opens with a little age into a fantastic big sweet Virginia taste - like the wonderful Virginias Sobranie used all those years ago - and is the second coolest Virginia I have come across) and finally the coolest Virginia I have come across and I think the most completely, and so culpably, ignored tobacco of the range Laurel Heights (subtle evocation of orange essence, oat bread, leather and light chocolate with wonderfully dense chewy mouthfeel but not heavy). I think the ho ha shortly after Laurel Heights was released about the tiny amount of latakia in it may have turned Virginia lovers away which is a shame because it really has lovely Virginia smoking characteristics without the heat that so often accompanies those tobaccos and the impact of the latakia on its taste is pretty subliminal albeit, no doubt, vital. It’s interesting that the three examples quotes as under rated blends have in common a handling of Latakia with restraint - at least in taste dominance if not quantity (Samarra). Perhaps another example of the modern “if somethings good then more must be better” fallacy? Very apparent also in wine popularity of “in your face” consistent styles whilst ignoring delicate Pinot Noirs or port popularity whilst overlooking sherry. Thanks for answering my question mr. Pease! And I love Ashbury.. The line “Bohemian spirit and a sense of adventure” did it for me And besides that it is imho the only blend that comes a bit close to the old State Express London Mixture. Jim: I thought exactly what you thought, but that doesn’t explain the popularity of Chelsea Morning, say. But I think there’s definitely an element to that. There are people on this forum who seem to not be able to taste latakia unless it’s a third of a blend or more. Oh well. More Samarra and Kensington and their ilk for us. Arno: the Classic Collection is full of blends that are inspired by blends of the past. Abingdon and Blackpoint were inspired by different vintages of Balkan Sobranie 759, I’m guessing that Charing Cross is probably inspired by an old tin of Balkan Sobranie Original, Piccadilly is probably a takeoff of Early Morning Pipe, Stratford is almost certainly Elizabethan. Piecing together some hints, my theory is that Kensington was inspired by State Express London Mixture, though I can’t be sure. I’ve asked the one guy who would know a few times over the years, and he’s responded with some hand-waving evasionary maneuvers. But you may be right, Arno, though I will say the last time I had Ashbury it just didn’t do it for me like it used to. I guess it doesn’t matter, ultimately, which old blends inspired current blends, except for satisfying curiosity. 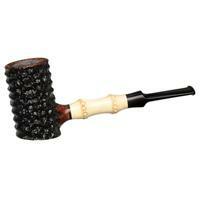 I can smoke basically all the Kensington I want, but I can’t go out and readily buy whatever it was that inspired it. If I’m lucky, I may end up with one tin someday, but I’d wager that I’d be better served cellaring my current favorites in quantity. Yes - Chelsea Morning occurred to me as the exception proving the rule! My guess would be that, as a later offering and the first in the new (great) Old London series, it caught on on its merits as a tasty blend without folks realising that its taste was the result of the blending of the right balance of Va./Latakia/Oriental and Perique until they were in love with it? While I salute the above two contributors as fellow devotees of less well acclaimed GLP mixtures (surely none of them is sufficiently well acclaimed or, even more important, bought!) I do feel that the matter is a little more complex. On reflecting a bit more it occurs that Ashbury and Kensington are also relatively low in nicotine (low to middle on the tobacco review site) and I suspect many pipe smokers, myself included, want a bit more from a jolly good smoke and so may sample tobaccos like that out of interest but that may well be it. For instance I tried Chelsea Morning because it was available in the UK (well done Gauntleys of Nottingham) and found it interesting (fuller taste than its Dunhill equivalent of the 1970s vintage) but I just do not have the technique to include a mixture that light in my rotation. By the way my admiration for Greg as a pipe smoker smoking and enjoying the range from his light mixtures through to Jackknife is second only to my admiration of his blending abilities. 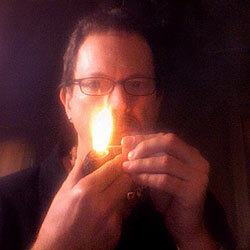 I can also see that fitting into a pipe rotation is a further hurdle for light mixtures to overcome; for example Virginia only fans will not want a grain of latakia in their pipes (in honesty I would not put Laurel Heights in my Union Square pipe) and those who favour the condiment driven tobaccos likely will not taste the subtleties of a light mixture over the ghost of their favourites. Sadly not all pipers enjoy as wide a range of pipes (or space to keep them!) as they might wish. Thankfully the charm of Greg’s artisan enterprise is that blends with fewer devotees can continue contributing to quite possibly the most diverse high quality range ever. I’d like ask Mr Pease what he would use if, like I, he were unable to ingest alcohol and would rather not have it around the house? I’m probably not the only alcoholic pipe smoker. I use isopropanol and have had good results. Dedicating specific pipes to specific blends, not “over-smoking” the pipes and always using a clean dry pipe cleaner is the best advice I could give to your question. I love hot peppers. Latakia not so much, so I’ll not be buying either Ashbury or Samarra anytime soon. I would, however, like to know how you put up, or can, your chilies. Thanks for another entertaining article. OOOO! I Love peppers! I really like those little Thai peppers. I have like the fire in habaneros I do not like the fruity after taste. Perhaps a smoked Habanero would do the trick. LATAKIA SMOKED HABANERO??!!?? makes the mouth water just thinking about it…..Awesome article! Thank you!